ViglitaTM is indicated as an adjunct to diet and exercise to improve glycemic control in patients with type 2 diabetes mellitus. The recommended dose of ViglitaTM is 50 mg or 100 mg daily for monotherapy; 50 mg twice daily (morning and evening) when used in dual combination with Metformin or a Thiazolidinedione; 50 mg once daily in the morning when used in dual combination with a Sulphonylurea. 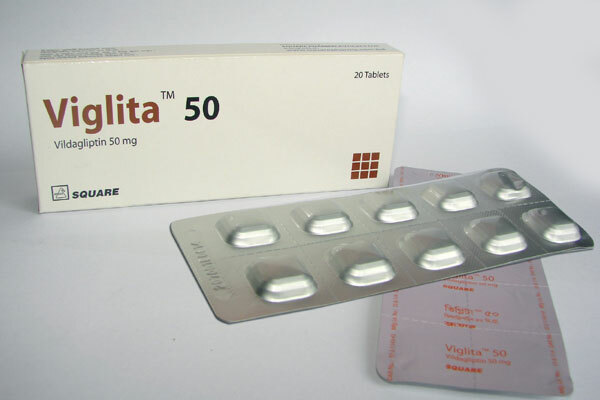 ViglitaTM 50 Tablet: Each box contains 20 tablets in blister pack.